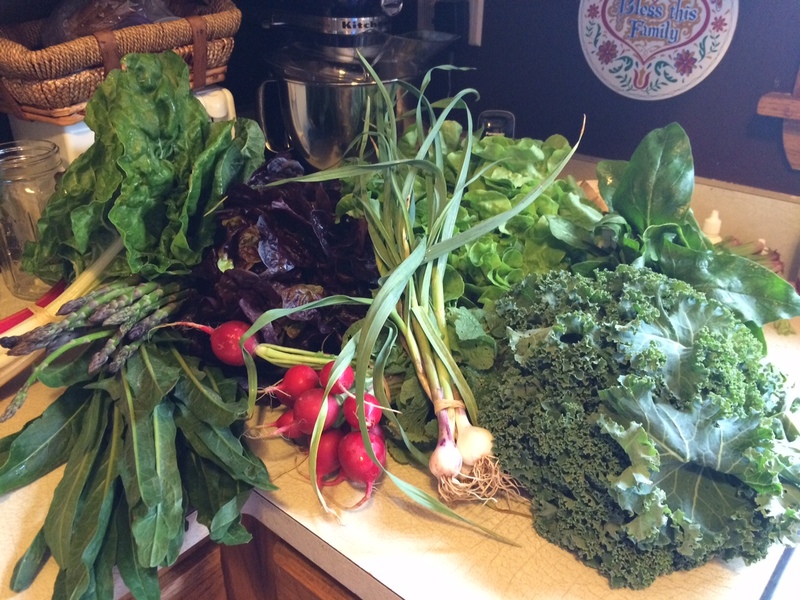 Why I’m back with a CSA. Four years ago I wrote a post titled Why I dropped my CSA membership. Having gleaned all the info and inspiration I needed from that CSA (Community Supported Agriculture) membership, I was ready to make a go of it on my own. Things have gone pretty well in the last four years. We have eaten lots of great garden food. We’ve tried many new varieties of vegetables and herbs. We’ve preserved pound after pound of garden goods and enjoyed them throughout the year. It hasn’t been all glamour though. Blight, bugs, cold weather, an insane amount of weeds and a myriad of other issues continue to plague my garden year after year. Nothing out of the ordinary. but enough to leave some holes here and there in my harvest. Also, in that time, I’ve added two children to the family. And my other two kids have grown bigger. When I cook meals now, I need to make a lot of food. 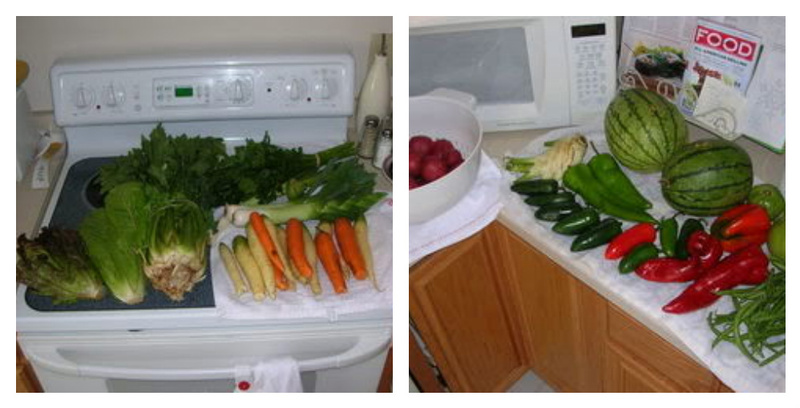 Online and in other media, I’ve seen so many beauty shots of produce from local farms, farmers markets and CSA boxes. I sometimes get veggie envy. One year I spent the better part of our food budget at the farmer’s market. Now, there’s nothing really wrong with that. 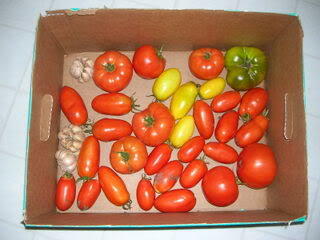 But it did make me think about my CSA days of yore and consider the value of purchasing produce that way. Perhaps the CSA did make better economic sense after all. And then there’s the creative factor. The CSA boxes included items that made me stretch my cooking chops a bit and learn new techniques. I was missing that. Left to my own devices, I tended to buy basic vegetables that I knew my family would eat without complaining. Again–nothing wrong with that. But it wasn’t as interesting or as much fun. I like a food challenge and researching techniques and recipes is my idea of a good time. So this winter, when I started to notice all the CSA sign up reminders popping up in my facebook feed, I began to reconsider my stance on CSA membership. Maybe I was ready to dive back in? Indeed, I believe I am. The first box is here and I’m presented with a whole new vegetable (puntarelle, anyone?) to try and lots of possibilities ahead. I can’t wait to see what every new week brings. I’m confident that the produce we receive each week will be helpful in feeding those two new mouths we have, as well as the other four of us. 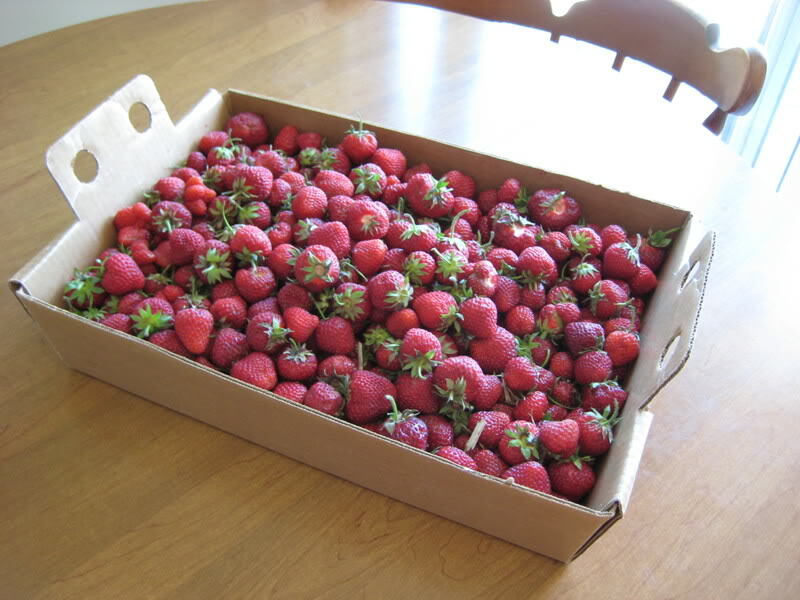 Thankful for the bounty we grow, but also for that which is grown by others.